An Indonesian politician who was the Foreign Minister of Indonesia. He served during the presidencies of Megawati Sukarnoputri and Susilo Bambang Yudhoyono. Hassan Wirajuda earned a Doctor of Juridical Science in International Law from the University of Virginia School of Law, a Master of Law (LL.M) from Harvard University School of Law, and a Master of Arts in Law and Diplomacy (MALD) from the Fletcher School of Law and Diplomacy. He also graduated from the Faculty of Law of the University of Indonesia, later he spent a year at Oxford University in the United Kingdom earning a Certificate in Diplomacy. 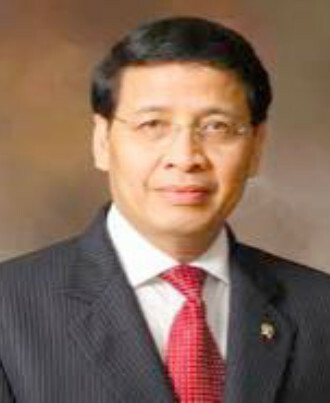 Hassan Wirajuda has held several important posts including Director-General of Political Affairs of the Ministry of Foreign Affairs, Ambassador and Permanent Representative to the United Nations and other international organisations in Geneva, Ambassador Extraordinary and Plenipotentiary to Egypt, and Director of International Organisations of the Department of Foreign Affairs. During his diplomatic career, he also assisted the establishment of the Indonesian National Commission on Human Rights (Komnas HAM).